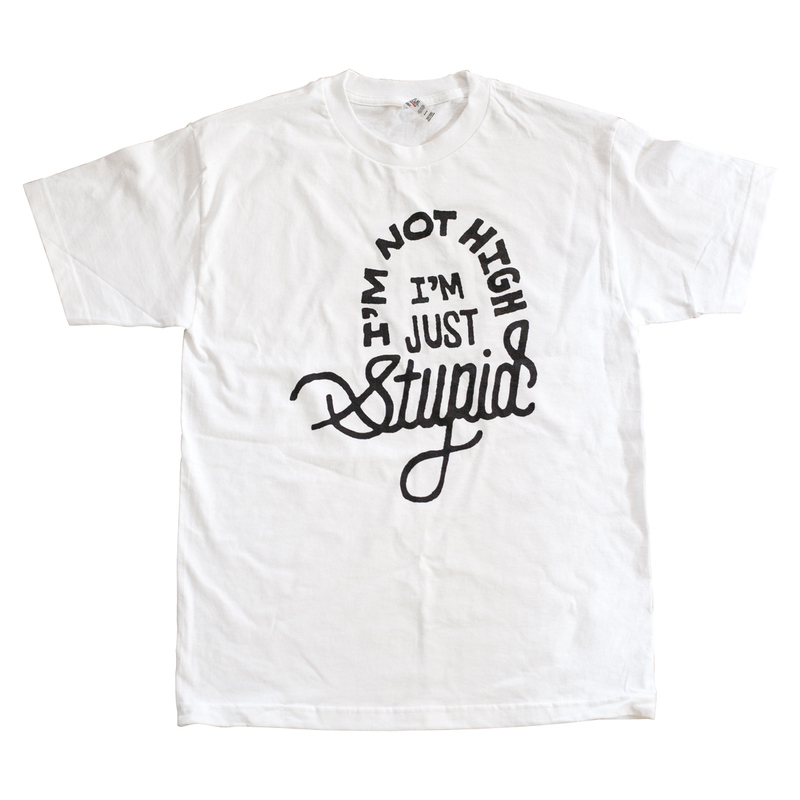 I’m Not High, I’m Just Stupid – T-Shirt – White / Black – wiskate.com – Skateboarding in Wisconsin – For trolls, by trolls. Are high? Are you stupid? This is the shirt for you!